Carolina Granados is your hotel, casino, or high rise personal trainer in Las Vegas. Travel, whether for business or pleasure, can wreak havoc with your good intentions for maintaining personal health goals. Living in one of our beautiful Vegas high rise communities can make it a pain to get out and active. Let Carolina help you keep your fitness goals on track. On your next visit to Las Vegas, NV, be it for business or pleasure let Carolina come to your hotel or high rise gym as your personal trainer. With Carolina, you have the convenient option of a personal trainer for high rise condos, a city center area personal trainer, and a Las Vegas Strip personal trainer. Carolina’s background and training make her a great choice as a personal trainer for tourists, business travelers, or local residents of Las Vegas high rise condos. 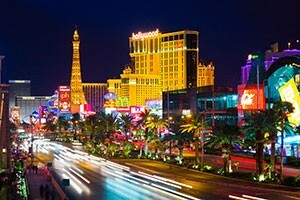 Need a personal trainer while on vacation in Las Vegas? Looking for a trainer to come to your high rise condo gym? Let Carolina Granados help you reach your personal fitness goals. Contact her today for a personal consultation.